One Direction are offering fans the chance to win an amazing once in a lifetime opportunity to fly to Miami to meet the band at the final gig of the ‘Where We Are’ world tour. 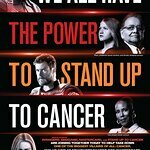 Donations to enter the prize draw will support Stand Up To Cancer, a joint national fundraising campaign from Cancer Research UK and Channel 4, raising funds to accelerate new cancer treatments to patients and save more lives. Harry, Zayn, Liam, Niall and Louis have all pledged their support to the campaign by offering this incredible experience. The prize includes flights to and from Miami, from anywhere in the world, accommodation, tickets to the show and a chance to meet the band on Sunday 5th October 2014 for one lucky winner and a guest. After meeting the band, the winner will also receive an array of signed merchandise. To enter, fans can go to www.prizeo.com/onedirection and donate £5 which will go towards vital research into cancer. In 2012, Stand Up To Cancer’s fundraising total exceeded £8m funding 12 clinical trials across the UK and this year’s aim is to do even better. The 2014 campaign is encouraging people to join the front line against cancer this autumn by fundraising, buying merchandise, joining March On Cancer and tuning in to the live TV show on Channel 4 on Friday 17th October. 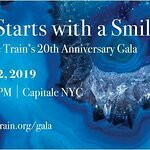 The culmination of activities will see stars from TV, music, film and fashion joining forces to galvanize the nation to show cancer, that it’s payback time. Check out this video of the boys talking about why they are supporting the campaign and the fantastic prize. The merchandise the boys is wearing is available to buy online at standuptocancer.org.uk and selected items will be available from Cancer Research UK shops across the country from September.